Home | DINOSAUR PAINTINGS | Brachiosaurus brancai, Oil Painting | Brachiosaurus - Jurassic Dinosaur - 8.5" x 11"
Brachiosaurus - Jurassic Dinosaur - 8.5" x 11"
Brachiosaurus brancai Printed on premium photo quality super "B" paper 8.5" x 11". Note: Watermarks and Copyright markings do not appear on the final art. 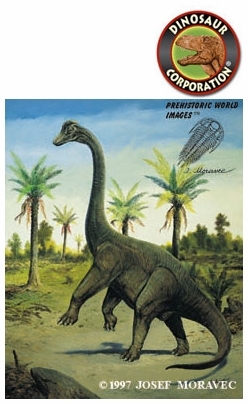 ▪ BRACHIOSAURUS Picture, Art Print, 13" x 19"
BRACHIOSAURUS Picture, Art Print, 13" x 19"